Disney's Frozen Elsa Majestic Styling Head ONLY $16.45 + FREE Prime Shipping (WAS $35)! 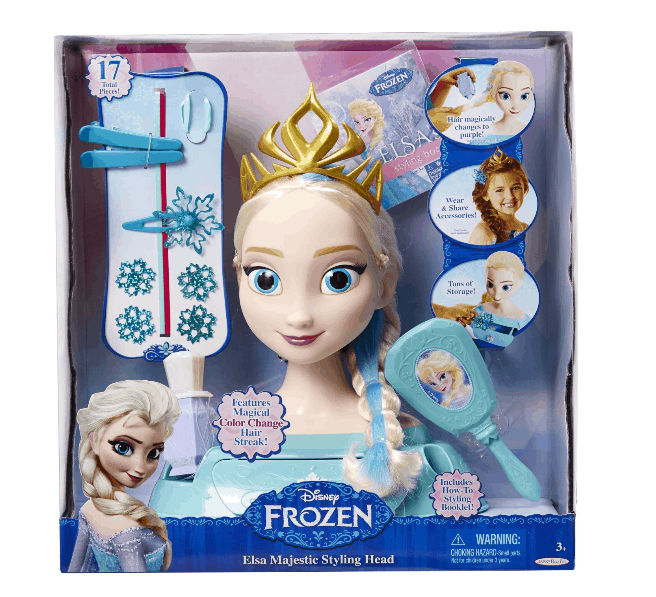 You are here: Home / Great Deals / Amazon Deals / Disney’s Frozen Elsa Majestic Styling Head ONLY $16.45 + FREE Prime Shipping (WAS $35)! Disney’s Frozen Elsa Majestic Styling Head ONLY $16.45 + FREE Prime Shipping (WAS $35)! Your Frozen fan will love styling Elsa’s locks with this Disney’s Frozen Elsa Majestic Styling Head, priced at ONLY $16.45 + FREE Prime Shipping – sign up for a FREE 1 month trial here (WAS $35)!